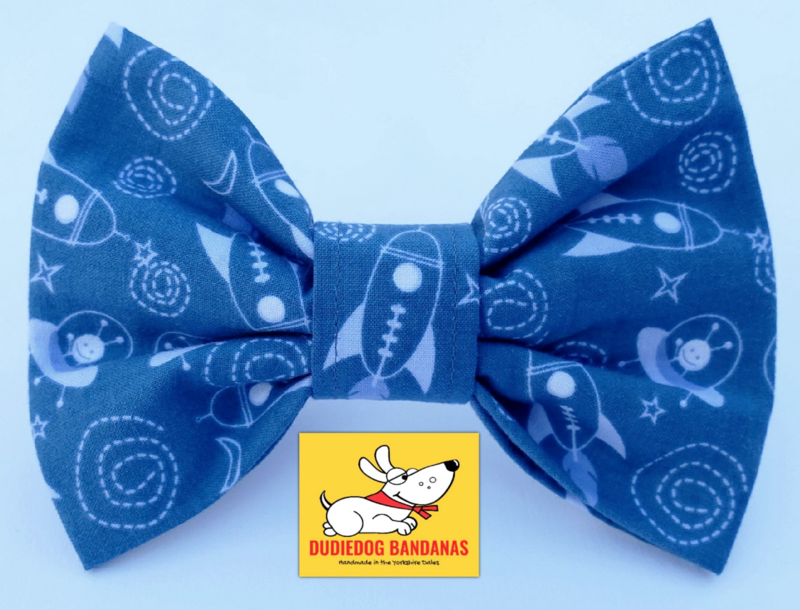 This is a really fun Space explorer Dog Bow Tie. 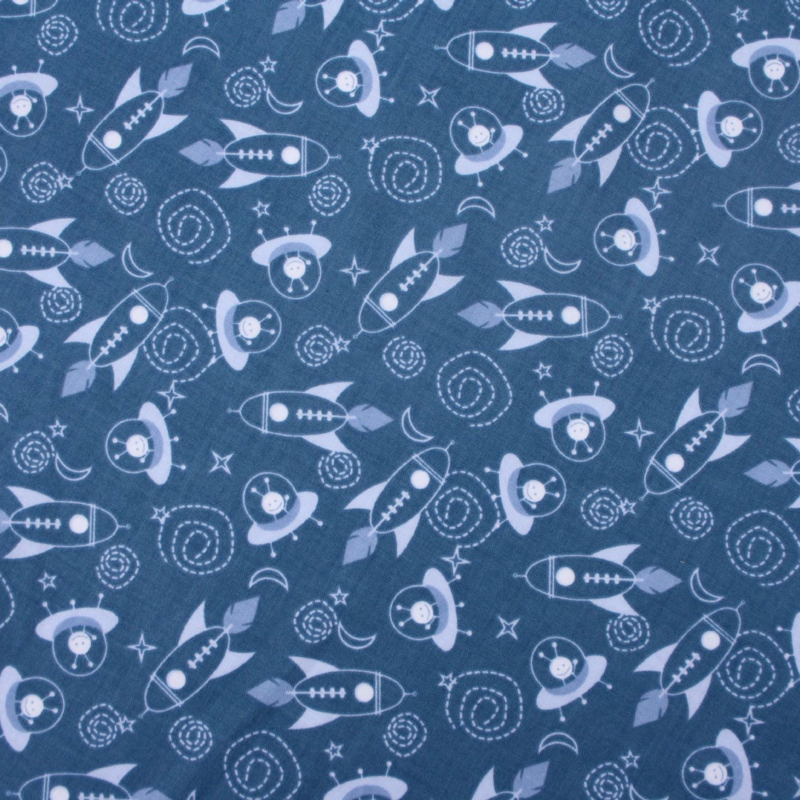 The background is a beautiful shade of soft mid blue, with a white print incorporating rockets, spaceships, Martians, stars and moons. This is a perfect addition to any fashion conscious dog's wardrobe, and would make a lovely gift for any dog.